I’m pretty sure it was the original Planet of the Apes movies that made me a fan of time travel, so every time I see a book on the topic, it’s like a laser beam that draws me in. I like the idea of June’s story being told in eight novellas – it reminds me of Stephen King’s The Green Mile. 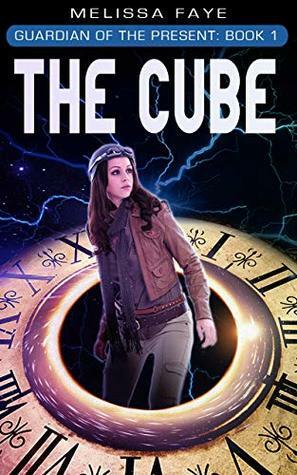 All were quick reads, and each left the reader with a bit of a cliffhanger – the first book in the Guardians of the Present series is no different. The traveler case June is dealing with wraps up in this novella, but shocking news regarding something from her past turns up at the end. June is a very likable protagonist, and despite her unusual ‘job’, she’s trying to have a normal college experience – roommates, fraternity parties, and possibly a new love interest. The clever names she’s given her self-invented weapons made me chuckle, and her understanding of and knack for technology has saved her numerous times in her line of work. Currently, June’s three roommates aren’t really asking any questions about her mysterious behavior and oddly timed comings and goings, but there’s potential for some conflict in the future, and maybe the possibility of even taking some of them into her confidence. Something I missed was more information on world-building. Although it may be included later in the series, I was left wondering how June became a guard at such a young age, and how she met Ridge. Is there someone over the program? Are there guards throughout the country? The world? June encounters a traveler at Central Park Zoo, obviously a high traffic area, and later even sneaks in after hours, but no mention is made about park goers sighting them, security guards, or cameras. Is there some gadget that prevents her from being seen? This well-paced novella can easily be read in one sitting, and Buffy, Looper, and Veronica Mars are excellent comp titles. I’d like to continue with the series, but hope the author fills in some blanks and gives readers a better grasp of June’s world and backstory. I received a copy of this novella from the author through Rosie’s Book Review Team. Thanks for sharing, Teri. The Buffy comparison piqued my interest. Any mention of Buffy usually does. I tried the first couple of episodes of Buffy and just couldn’t do it, but promised a friend I’d give it another try. tough leads are the best. And i believe if the author answers all your questions on the first installment when she’s planning eight will make readers lose interest. though, a little detail on how she got into the zoo, i suppose, would be better. That zoo question especially intrigued me, Jina – I was just at Central Park Zoo a month before reading this. Such a coincidence! could be that the author just never went there and didn’t know about the guards and cameras. If you noticed above, I mentioned I’d promised a ‘friend’ to give Buffy another try. Maybe you know her. I did notice that. And I think I know that snarky girl. I’ll admit some teens probably don’t question things, but I’ve seen others who will nail you to a wall for leaving out details, lol. I heard the author just released part 2 today! 😀 Hopefully with more details!